Overnight guests can be stressful and feel overwhelming for both the host and the visitors. If you have guests coming to stay at your home soon, help them feel welcome and at ease by creating a cozy guest bedroom. By anticipating some of your guest's needs, they’ll be able to relax throughout their stay and you’ll be able to simply enjoy their visit knowing everything is taken care of. 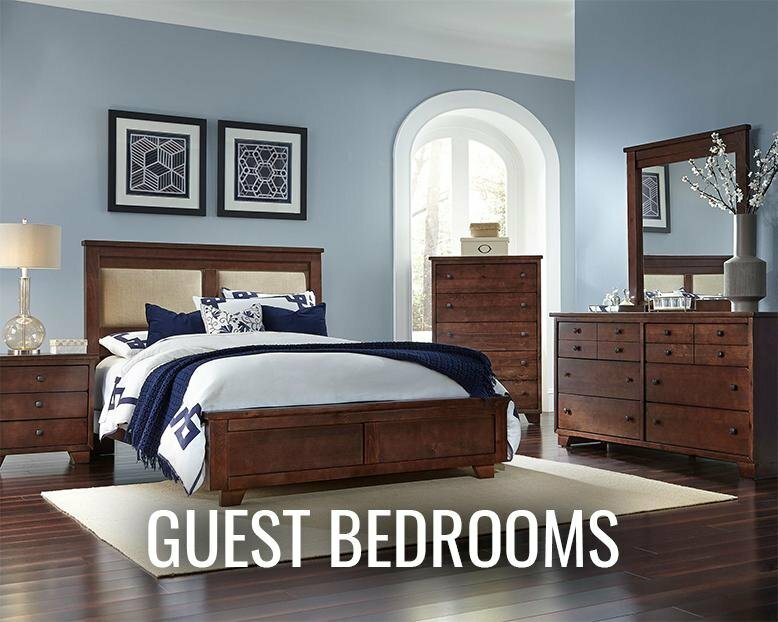 We’ve listed six things you should include in your guest bedroom to be the perfect host. Get the best bed possible. You don’t want people to dread coming to stay at your home and worry about being achy each morning because of your mattress. In addition to a nice mattress, comfortable and clean bedding make a huge difference. Have some spare pillows and blankets in a place that’s easily accessible. If it gets cold in the middle of the night, the last thing you want is your guest shivering and searching around for something to stay warm. Have a place where your guests can put their suitcase. Rather than kneeling on the floor to dig through a bag, think about including a bench or small table that your guests can put their suitcases on. Set out any necessities your guests may need. Towels, washcloths, extra toilet paper, tissues, shampoo, and conditioner are some things to have handy. Leave a note with your Wi-Fi password written on it in plain sight. Have a light source near the bed. A small lamp on a nightstand or a floor lamp is enough - just something that will allow your guest to read and unwind without having to get up again to turn off the overhead light. Depending on the length of your guests stay, you may want to clear out some drawers and empty out a closet so they are able to unpack and settle in. Make sure there are hangers available and they know which drawers are available. What do you have in your guest bedroom?